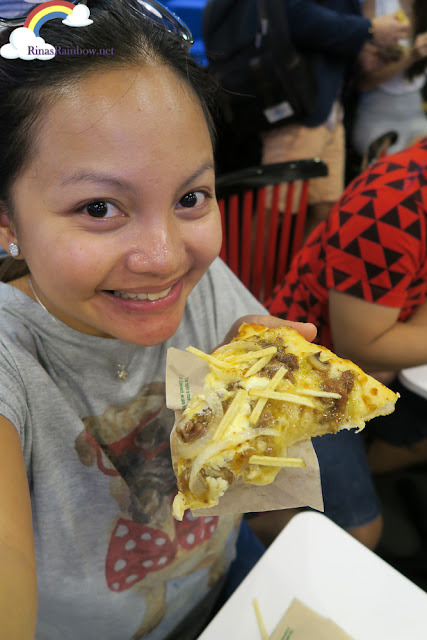 Rina's Rainbow: Greenwich's Newest Barkada Craze: Cheesy Steak and Fries Overload! 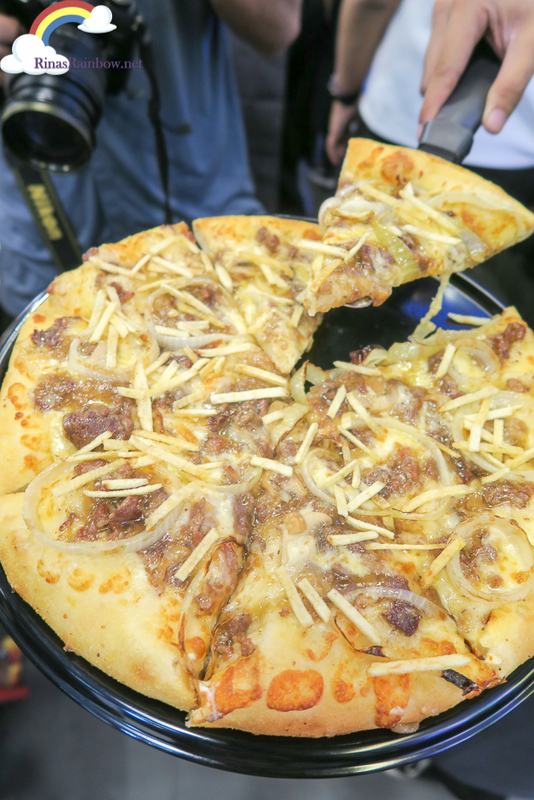 Greenwich's Newest Barkada Craze: Cheesy Steak and Fries Overload! It's official. Greenwich's newest barkada craze, the Cheesy Steak and Fries Overload is one of my favorite pizza now! I was so glad I got to try it yesterday with some of our Kain Tulog Gang (The Food Scout, All Chucked Up, Dude 4 Food, and Tummy Traveler) buddies during the launch of this new flavor at the Greenwich branch in Bonifacio Stop Over. And it is available starting today! 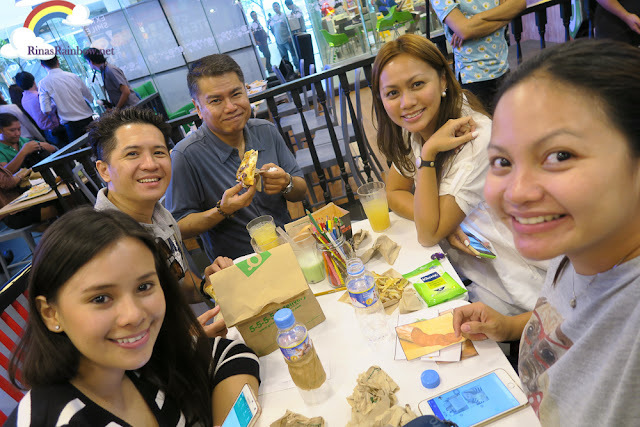 We had so much fun at the event joining all the games (which our table won 2 out of 3. I seriously think the rest of the guests were frustrated at us! Yikes! Sorry! Hehehe). All the tables had coloring materials and a coloring sheet which the whole barkada can color together. This was our winning masterpiece! 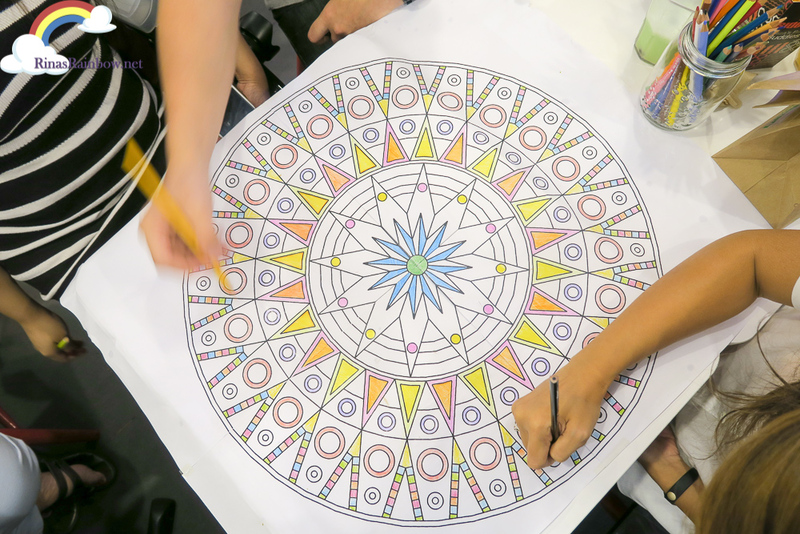 And while coloring, we were served some Wacky Wings , which, surprisingly was DELICIOUS!!! As I said in my Instagram post, I usually like drowning my chicken in gravy but not this one. This one didn't need any. It was just bursting with flavors! Salty with a hint of spice! 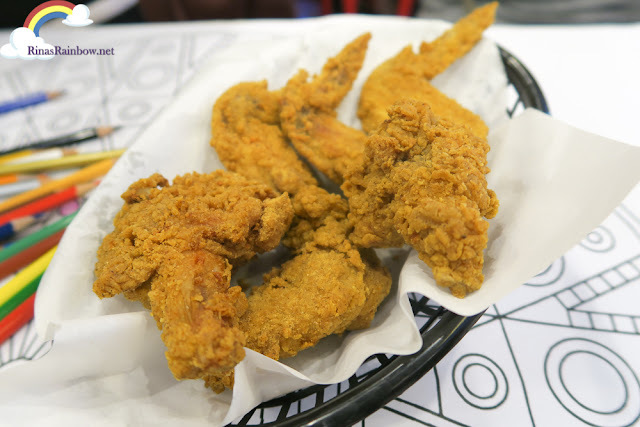 Juicy inside (even the breast part), and then super crispy outside! The skin was to die for! It was almost like chicharon! 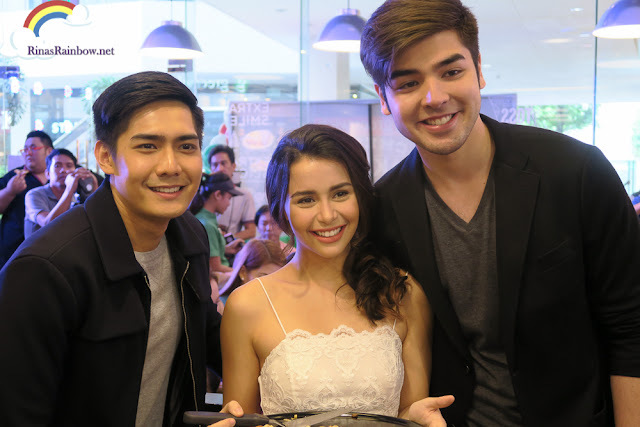 Then Robi Domingo, Yassi Pressman, and Andre Paras joined all of us to officially present the new limited-edition pizza! Yassi is gorgeous! And voila! Presenting the Cheesy Steak and Fries Overload! As my friend Eugene of Hefty Foodie observed when I showed him the photo... "Uy sarap lahat yellow!" Hahahaha! Which is a good thing if you're like him or Richie The Pickiest Eater who likes only the good gooey stuff on their pizza. They're not big fans of veggies hehehe. What's there is delicious melt-in-your-mouth steak, three types of cheeses including mozzarella, cream cheese, and cheddar cheese, and then for texture, a lot of crunchy potato strings! And lots of onions! 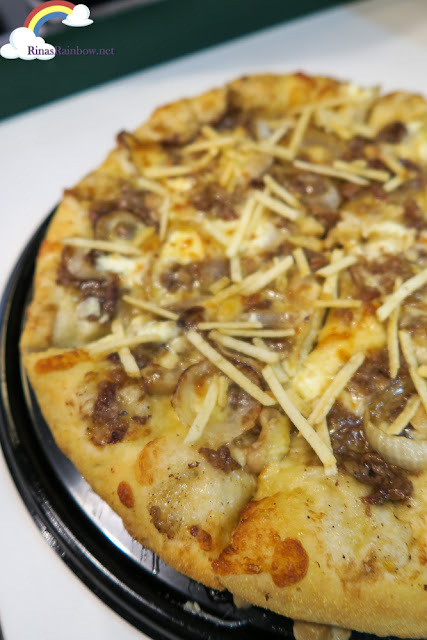 Except for the absence of bacon, this pizza looks like it was made for Richie! This is just the sort of pizza that Richie can definitely get on board with (because he gets acid attacks with anything with tomato sauce). 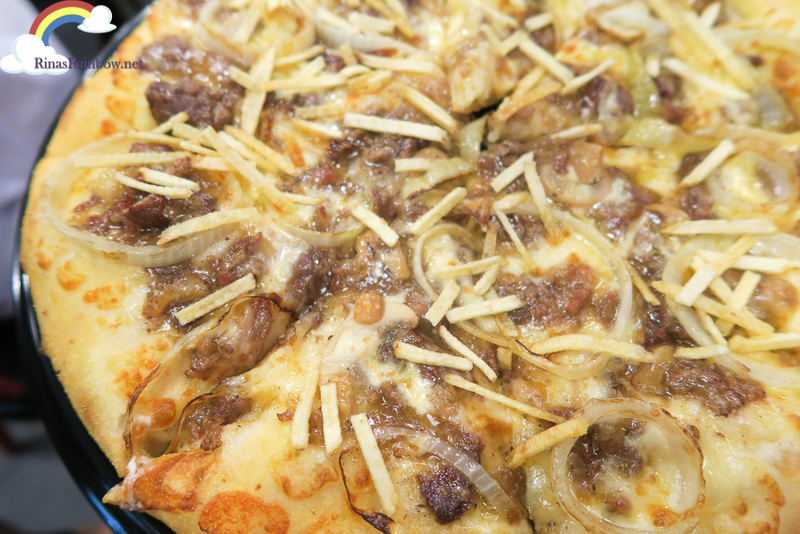 The Cheesy Steak and Fries Overload is a limited-edition pizza and will only be available starting today,October 2 until December 2015 only! You've got to try it!! !